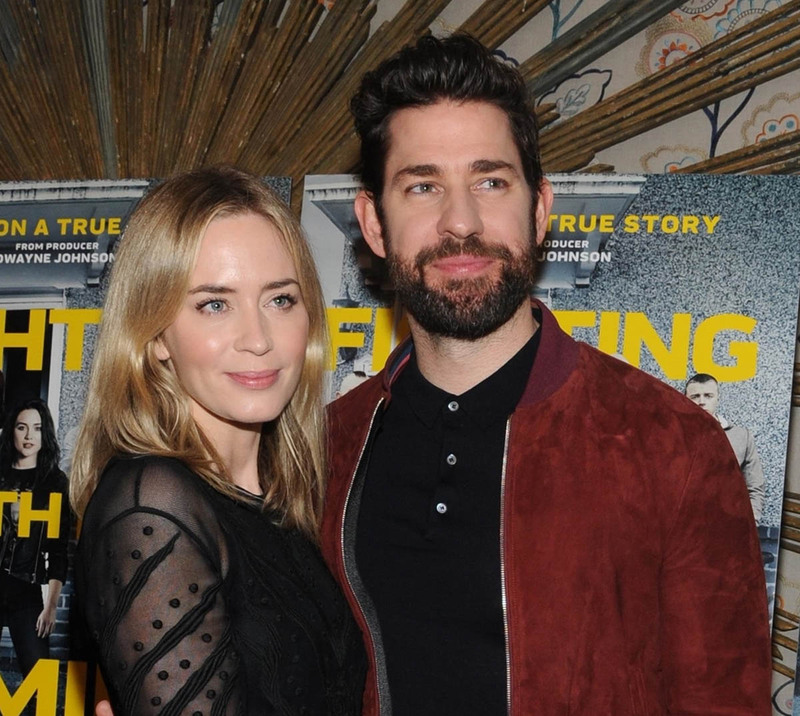 Emily Blunt and John Krasinski showed up to a screening of Fighting With My Family last night in New York. The film is written and directed by Stephen Merchant and produced by Dwayne The Rock Johnson who also plays a small role. As The Rock keeps saying, he doesn’t just work on movies that feature muscles and explosions. This is a small budget film that is getting really strong reviews. As Sarah wrote when the trailer came out in November, Fighting With My Family looks funny and cute and features Florence Pugh, the next big thing. Jacek and I normally ignore Valentine’s Day but I think we’re going to see this on Friday. Pretty sure we won’t regret it. The Rock wasn’t at the screening last night. Earlier this morning he teased on Instagram that he’s shooting the “biggest and most meaningful magazine cover” of his career. 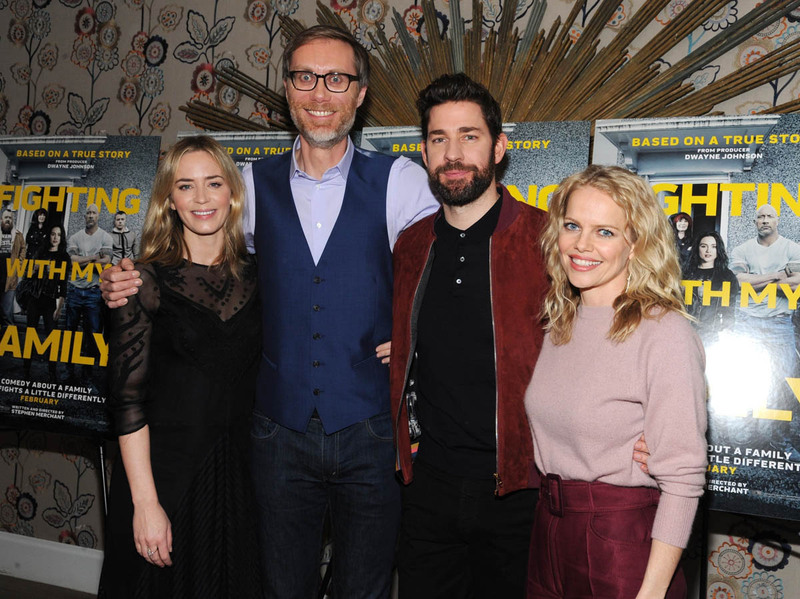 As for Emily and John and the connections here – John and Stephen Merchant have been friends for years. There’s The Office, obviously, and they’re the ones who came up with Lip Sync Battle, and Emily and The Rock worked together on Jungle Cruise. So, once again, another example of how popular Blunt Krasinski Inc is in Hollywood circles. Not popular enough, of course, to get them to the Oscars this year but as Duana and I said on a recent episode of Show Your Work, they know how to play the long game. And look, just because they’re strategic doesn’t mean they can’t be nice. Of course they’re nice and they’re liked – they show up for their friends, their friends show up for them. To support each other and to support each other’s ambitions. That’s what Sean Penn’s doing, after all. Just…in an entirely different way. Like, obviously, Sean’s way is just more artistically pure and literary because, you know, he’s such a talented writer.